The terrible tragedy in Newtown has created intense feelings in this country and around the world. We have suffered from all too many mass murders and other catastrophes, but many pundits have I believe correctly stated that this one is different. The difference is those twenty precious children who had their whole lives ahead of them, so much to learn and enjoy and so much to contribute. The world is incredibly poorer for the loss of those children and the six heroines who sought to save them. We all have a moral obligation to remember the victims in Newtown. There is nothing we can do to save these twenty children, but there are so many other children we can protect and there must be no excuses for failing to do so. EVERY YEAR IN THE UNITED STATES, WE SUFFER THE EQUIVALENT OF FOUR TO FIVE NEWTOWNS IN THE LOSS OF PRECIOUS CHILDREN AT THE HANDS OF ABUSIVE FATHERS INVOLVED IN CONTESTED CHILD CUSTODY CASES. I say this based on research that found news stories about 175 children murdered in a recent two year period by abusive fathers. In many of the cases the outdated and discredited practices used by the custody courts gave these fathers the access they needed to murder their children. Perhaps our most fundamental Constitutional right is the right to free speech, and it is well established that this right is not absolute. The lesson from Newtown must be that any rights people have to own and possess guns and any rights parents have to their children must be given less consideration that the right of children to be safe. As every protective mother and father knows, the custody courts can and must do a better job of protecting our children. The court system’s refusal to reform broken practices based on compelling new research and their defensive response to criticism for their failure to protect children must stop. When domestic violence first became a public issue in the mid to late 1970s, there was virtually no research about domestic violence. The focus was on the harm to women partnered with abusers. When mothers came to court seeking protection for themselves and their children, they were met with some version of “Is he also assaulting the children?” If the answer was no, the court treated the father as if he was just as qualified for custody and visitation as the mother. Later research revealed the profound impact on children of witnessing domestic violence. Studies found that children impacted by domestic violence were more likely to engage in a wide variety of harmful behaviors that include substance abuse, suicide, self-mutilation, crime, prostitution, teen pregnancy, dropping out of school and for boys to abuse future partners and girls to be abused by future partners. The children were also more likely to suffer depression. The studies found that witnessing domestic violence was as harmful to children as being directly abused. In other words the earlier distinctions did not benefit children. This research resulted in laws in every state requiring custody courts to consider domestic violence when making decisions about custody and visitation. Some states passed laws creating a presumption against granting custody to abusers, but this was often undermined by requiring a high level of proof or severity for the law to apply. The result of these limitations was that many harms to children did not result in effective protection. Additional research found that witnessing domestic violence interfered with the ability of children to reach their developmental milestones. In each age category, children have normal developmental milestones they need to reach as they grow and mature. One milestone helps achieve later milestones so that the failure to reach one milestone undermines the entire process and puts children at risk. In very young children, witnessing domestic violence can actually impact the hardwiring of their brain which has negative consequences the rest of their lives. More recently, we have seen more research about the effects of adverse experiences like witnessing domestic violence. The more types of adverse experiences children have the greater the harm. Significantly, children who witness domestic violence have more physical and mental health illnesses as children and as adults, need more medical care and have shorter life expectancies. Court professionals must be asked how it can possibly be in the best interests of a child to impose such profound risks on the children they are supposed to safeguard. Significantly, the study by Dr. Daniel Saunders for the U. S. Department of Justice found that court professionals need training about the impact on children of witnessing domestic violence. Usually evaluators, judges and lawyers have had some training and know that children can be harmed by witnessing domestic violence. The problem is they may not fully understand the extent of the risk or all the circumstances when an abuser’s actions can trigger this risk. Every state has laws or case law that describes a series of issues that courts should consider in making decisions about custody and visitation. This can include subjects like the preferences of the child, economic issues, friendly parent and many others. Most of the issues the courts are required to consider do not involve the very life expectancy of the child as witnessing domestic violence does. Every court has the authority to make issues that impact children’s safety the highest priority. This would certainly be in the best interests of the children. Nevertheless we repeatedly see courts focus on less important issues in cases where a proper understanding of the evidence regarding domestic violence would demonstrate the children are at risk. I believe it is critical that judges and other court professionals be advised of the devastating impact domestic violence has on children. The specific potential harms should be mentioned in the initial court appearances, discussions with GALs and evaluators, cross-examination of expert witnesses, motions for temporary relief and closing arguments. The dire consequences of exposing children to domestic violence should mean that courts do not take these risks before getting all the information they need. They should err on the side of protecting children. A parent’s “right” to have access to their child and the child’s need to have contact with their parents should not trump legitimate safety issues. Even if the child survives, the lifelong health problems caused by the court’s mistake might not be reparable. In order for courts to protect children from these dangers, the judge and other professionals must be able to recognize when the children might be at risk. Focusing on less important issues makes it harder to know when there is a danger which is exactly why abusers routinely raise false and less important issues. The court must also stop minimizing the risks or wrongly assuming that the danger ends when the relationship is over. In cases like Katie Tagle and Amy Castillo and so many others the problem was that the court did not believe the mothers’ concerns and so made decisions that directly led to the murders of children. In most domestic violence cases the courts make the same mistake of disbelieving safe and honest mothers, but the consequences do not include the murder of children. Instead they are subjected to abuse, cruelty, separation from their mothers and new incidents of domestic violence. The harm to the children is not as dramatic and often occurs over many years and indeed their lifetimes. The additional medical problems and shorter lifetimes go unconnected to the mistakes made by the courts. There are many flawed practices that contribute to the widespread failure of courts to believe valid allegations of abuse, but a large part is the assumption that protective mothers are lying about the father’s abuse. The court-sponsored gender bias committees from at least forty states and many judicial districts have all found widespread bias against women litigants and one of the most common examples is giving women less credibility than men. The recent U.S. Department of Justice study by Dr. Daniel Saunders specifically found that evaluators, judges and lawyers who do not have the specific necessary training to respond to domestic violence cases are more likely to believe the myth that women frequently make false allegations. Saunders specifically found that this and other errors lead the courts to make decisions that harm children. The research establishes that mothers involved in contested custody make deliberately false allegations less than two percent of the time and fathers in these cases make false allegations sixteen times more often than mothers. In other words we have a large number of catastrophic outcomes and solid research that explains the bad practices that place children in jeopardy, but none of this has led the courts to take a look at this pattern of errors that are ruining children’s lives. There are other factors that lead courts to disbelieve and minimize abuse complaints by protective mothers. Significantly, most of these errors are explained in the Saunders’ report. Court professionals need training in screening for domestic violence so the many unqualified professionals fail to recognize valid complaints about domestic violence. They need training in risk assessment so these professionals minimize the significance of the fathers’ abuse and place children at risk. They need training in post-separation violence so unqualified professionals assume the danger ends when the parties separate. They do not understand that after the woman leaves is the most dangerous time. They also fail to consider that the abuser assaults and coerces his partner not because of anything she did or his lack of impulse control but based on his belief that men are entitled to control their intimate partners and make the major decisions in the relationship. This means that when abusive fathers are given custody or unsupervised visitation, they are likely to abuse future partners which will compound the harm they have already done to the children. As we discussed earlier, these professionals need training in the impact of domestic violence on children. Although they generally know witnessing domestic violence is harmful, they do not realize the full extent of the harm and so minimize the significance of the father’s abuse. This leads to mistakes where they focus on less important issues and are often more concerned with phony alienation claims than issues that pose genuine safety risks. One common example of this is that when courts limit abusive fathers to supervised visitation because they pose a safety risk, there is often strong pressure to resume unsupervised visitation as quickly as possible. When courts punish mothers by withholding normal visitation for continuing to believe the father is abusive, courts often are willing to continue these restrictions for many months or years. Two recent cases in the Washington, D.C. area demonstrate the harm of this approach. In the Rams case, the father had a long history of abuse and presented serious danger to the child. The court quickly reestablished unsupervised visitation with the father over the mother’s objections. The little boy, Prince McLeod Rams died during one of these visits. The second case, involving a protective mother, Natalie Khawam was in the news because her sister’s complaint about harassment led to the revelation of the affair involving General Petraeus. The media covered the fact that General Petraeus and General Allen had written letters to the judge describing Ms. Khawam as a wonderful mother. The letters were cast in a negative light because the judge had accused the mother of lying about her abuse allegations and repeated deeply flawed findings by the evaluator pathologizing the mother. In this case the mother always provided good care for the child and is the primary attachment figure. The court has restricted the child’s access to his mother for many months and is in no hurry to stop this harm of the child. It is well established that denying a child normal access to his primary attachment figure significantly increases the risk of depression, low-self-esteem and suicide when older. There are no safety issues about the mother’s care for the child and a review of the court procedure demonstrates serious flaws that suggest the findings are wrong. Rita Smith, Executive Director of the National Coalition Against Domestic Violence, and I submitted an op-ed about these two cases to the Washington Post. The cases perfectly illustrate the favoritism towards fathers and frequent disconnect between the courts’ focus and the safety of children. Nevertheless the Post decided not to print the article. Dr. Saunders found that evaluators, judges and lawyers without the needed training tend to believe the myth that women frequently make false allegations, support unscientific alienation theories and assume children are harmed when mothers seek to protect them from men they have seen to be dangerous. The reliance on these false assumptions repeatedly leads to cases in which courts force children to live with dangerous abusers to guard against false and unimportant concerns instead of focusing on the children’s safety. These were among the mistakes found in the Khawam case. The failure of courts to protect children is magnified by the widespread use of professionals who are part of the cottage industry supporting abusers. These are mental health professionals and attorneys who support abusive fathers because this is financially beneficial for the professionals. A large majority of contested custody involve abusive fathers seeking custody as a tactic to reestablish control over their victims. Domestic violence is about control and financial control is a common part of their domestic violence tactics. This means in contested custody the abusers most often control the family resources so the best way to earn a large income is to support approaches that help abusers. The Saunders’ study supports a finding that this cottage industry creates a significant problem in the custody courts. They combine a bias against protective mothers with inadequate training and yet courts often treat them as if they were neutral professionals. The problem caused by these unqualified and biased evaluators and other mental health professionals is further magnified because judges and lawyers hear the misinformation they provide and often use it in future cases. It is easy to see how these common mistakes lead to outcomes that place children at risk. What is hard to understand is the failure to reconsider their standard practices based on the many catastrophic outcomes and the research that is now available. Dr. Saunders specifically found that there is a specialized body of research that the courts need to use to help understand and respond to domestic violence cases. The present standard and required training does not provide judges, lawyers, or evaluators with the expertise they need to respond effectively to domestic violence cases. Unfortunately the inadequate training that sometimes includes serious misinformation gives judges and other professionals a false sense of competency so that they are not open to new research or complaints based on harmful outcomes. 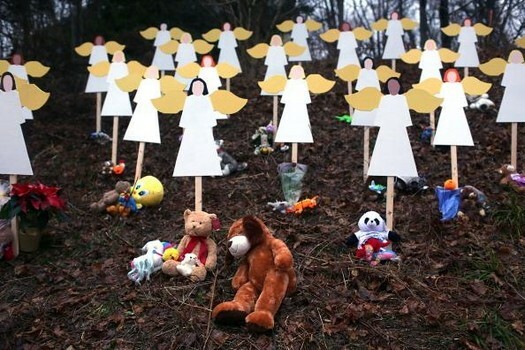 Television stations all over the country suspended their regular programming to cover the tragedy in Newtown. This was one of the most important stories of the last several years and it was properly treated as such. Fortunately, we do not expect to see twenty children gunned down at their school. The media quickly spent time examining how such tragedies can be prevented in the future. Reporters immediately placed Newtown in the context of several other recent mass murders and particularly ones at schools. I want to be clear that I want the media to devote the level of coverage they did to the tragedy in Newtown. I want to know about the individual children and the brave women who gave everything to protect them. For many of us, tears were quick to come for many days. I profoundly hope the pain of this experience will motivate our country to finally adopt the reforms needed to make children safe. I want the media to continue to focus on this story and the governmental response until we make schools, theatres, malls and other places children frequent safe. Reporters are not experts about guns, mental health, psychology, law enforcement, educational practices and so many other issues that should be explored in covering the murders in Newtown and discussing solutions. Accordingly, the media sought the assistance of a variety of experts who could help illuminate the issues and potential remedies. This is part of good journalism. It also provides a big contrast with their coverage of the hundreds of murders of children by abusive fathers involved in contested custody cases. In the last few years there have been hundreds of cases of abusive fathers involved in contested custody disputes killing their children. These tragedies have resulted in significant local coverage and occasional national coverage. The media, however, rarely interviews domestic violence experts or seeks to put these murders in the context of a failed custody court system. I have not seen one major media story that places these murders in the context of the 175 murders committed by abusive fathers in a two year period from 2009-2011. This failure is significant because it encourages the false assumption that these tragedies represent a rare exception to what normally happens. Professor Dianne Bartlow led a research study that asked judges and other court administrators in communities that experienced these tragedies about the reforms they have created in response to the murders and the research that demonstrates courts are placing children in jeopardy. Interestingly, the judges who responded tended to be the best and most caring ones. That is why they took the time to discuss domestic violence issues. They appeared to have a sincere concern about protecting children. Nevertheless, Professor Barlow uncovered few attempts to create the needed reforms. Instead most of the judges seemed to believe that the murders were a rare exception. In other words the failure of the media to place these tragedies in context makes it harder for reformers to recognize the pattern of mistakes that place children in jeopardy. On New Years’ Eve, 1994, Anne Scripps Douglas was brutally murdered by her husband in her Bronxville, New York home. Ms. Douglas had obtained a protective order and sought to expand it to keep him out of her house. The court refused to provide this protection. The local newspaper provided substantial coverage to this case and severely criticized the judge for her inaction. A few days later, I was in family court seeking a protective order for my client. During a conference with the judge’s law secretary the abuser’s attorney sought to avoid the protective order. The law secretary advised us that the judges had met after the murder and agreed to make it easier for abused women to obtain protection. Accordingly there was no way to avoid a protective order and the case was quickly settled. In other words, the judges had sought to learn from the mistakes that led to this murder and create the reforms necessary to protect potential victims. They might have done the same thing without the press coverage, but I believe it is likely the strong criticism and public outrage encouraged the needed reforms. We will never know how many lives were saved by improving the court practices. The outrage and concern over the twenty children murdered in Newtown has created strong pressure for action to make children safer. The limited coverage for the 175 children murdered by abusive fathers between 2009 and 2011 and failure to place these murders in context gave the courts and the legislature a pass to do nothing. And so these murders continue. The impact from Newtown was so strong that a majority of NRA members were moved to support reasonable gun restrictions that might prevent this kind of tragedy. It provided an opportunity for the NRA to participate in a constructive discussion. Instead they responded in a way several commentators described as tone deaf. In doing so they demonstrated that the NRA is not an advocacy group for gun owners but a shill for the gun merchants. Several prominent long time NRA members and supporters spoke out against the NRA response and promised to be open to reforms that could help keep children safe. The abuser rights lobby which likes to refer to themselves as “fathers’ rights” has played a similar poisonous role in promoting practices in the custody courts that place children in jeopardy. They like to create the illusion that they speak for all men or at least all fathers, but in reality they do not even represent most of the men who abuse women. Most custody cases, including those involving abusive fathers are settled more or less amicably. These abusers are willing to seek custody in order to obtain an advantageous financial settlement, but they love their children and will not seek to hurt their children by separating them from their mothers. 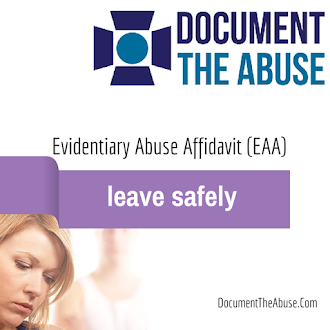 The extreme abusers who are part of the abuser groups believe their partners have no right to leave them so that they are entitled to use any and all tactics to pressure them to return or punish them for leaving. Unfortunately the court professionals often assume these fathers are acting out of love for their children and fail to inquire about their motives. The NRA and the abuser groups have been able to bully their victims and the community because too many good people have been afraid to stand up to them. It is particularly heartening that NRA members are speaking out in support of sensible reforms that would not interfere with the ability of law-abiding citizens to keep guns, but would make our communities and our children safer. It is also critical for men, fathers and responsible organizations representing men to speak out in support of protective mothers so that legislators and the media understand the abuser groups speak only for a small group of dangerous extremists. The National Organization for Men Against Sexism (NOMAS) is an example of a men’s organization that takes a strong stand in support of protective mothers and their children. A dear friend of mine is a protective mother whose children were harmed by the court’s acceptance of PAS. The three children were forced to live with the abusive father after he had sexually abused the two daughters. The mother won appeals decisions forcing a new trial and reconsideration, but the trial court ignored the law and the safety of the children to run out the clock so the girls aged out of the system before they could receive help for the harm caused by the father and the court. My friend’s father was a World War II veteran and genuine American hero. He described seeing his buddies injured and killed and the horror that is war. He gladly did this for our country and his family. But when he saw what our courts did to his grandchildren she said he was sorry he ever fought. We failed this heroic soldier and we failed his grandchildren. Patriotism can take many forms. It can include waving the flag on the 4th of July and other holidays. It must also include standing up to bullies from extremist groups, in the legislatures and the courts who are willing to place our children at risk. You see if patriotism stands for anything it must include the right to make sure our children are safe in their homes and schools.